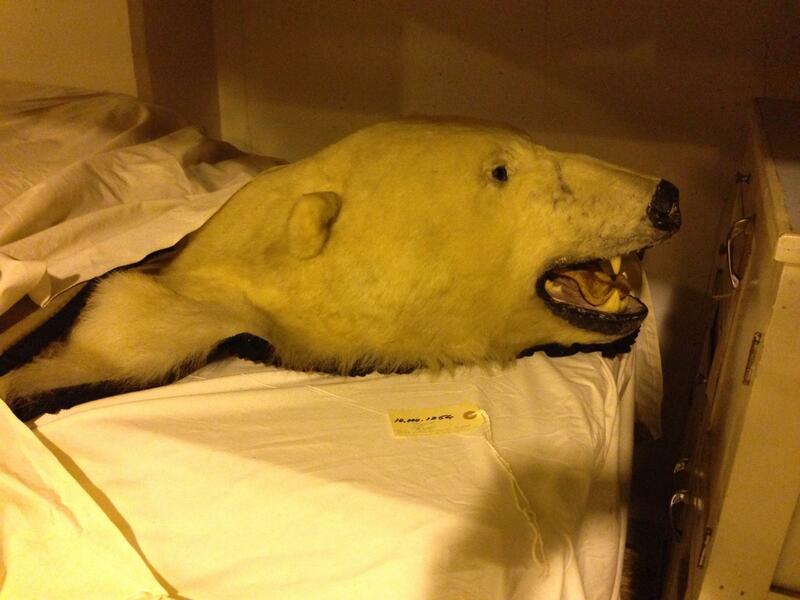 Polar bear rug in collections storage. The Minnesota Historical Society has around 250,000 collections objects from all sorts of people, places and things. One can search our online database to see some of the items that we have in our collections. One very unique item in our collection is the polar bear rug owned by Harry and Jeannette Ayer when they owned and operated the Mille Lacs Indian Trading Post from 1918-1959. Harry purchased the rug from Alaska by means of extensive correspondence with the U.S. Mercantile Company. Then it hung on the wall in the trading post, today it is in collections storage with many other objects. 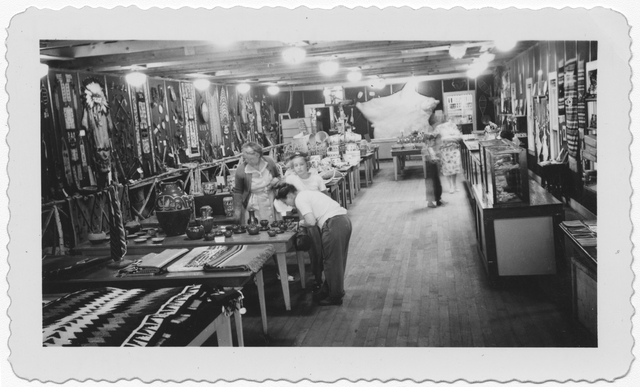 Rug on display at Mille Lacs Indian Trading Post, circa 1948.